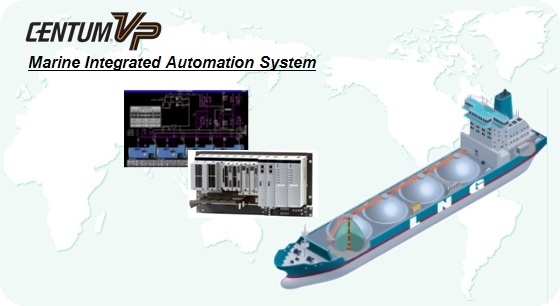 Yokogawa uses its industrial experience to provide unique solutions to meet the needs of the marine industry, and has been delivering IAS to LNG carriers worldwide for several decades. A long-term partnership with Yokogawa maximizes the total value of ownership with full lifecycle support. On an LNG carrier, boil-off gas (BOG) is produced by vaporization of LNG in the cargo tank. The Integrated Automation System (IAS) manages the BOG according to the propulsion system as well as controlling and monitoring the cargo system and machinery system. 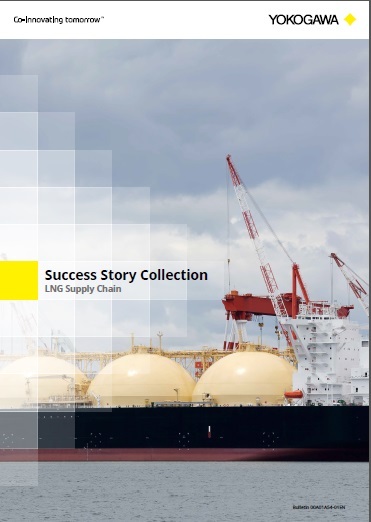 A unified operation and monitoring environment simplifies decision-making for complex LNG cargo and engine control operations. It also incorporates open interfaces so that supervisory computers can access trend data, messages, and process data. All process data can be monitored effectively at the human-machine interface. This makes it possible for operations on the LNG carrier to proceed more quickly and safely. The dual fuel 2-stroke low-speed engine utilizes a high-pressure fuel gas supply system (FGSS). There are many variations of the FGSS processes that consist of the HP compressor, HP pump, reliquefaction, etc. The dynamic simulator enables validation of the plant design, control philosophy and operational concept of multiple combinations and cases. This approach is useful for reducing the potential risks of a new process at an early stage of the project. OmegaLand is the general term for integrated environments for dynamic simulators. OmegaLand consists of functional modules to meet a large variety of applications at different departments of many industries. The dynamic simulation environment of OmegaLand will improve the efficiency of your system at less cost by combining modules to meet your needs. The steam turbine provides propulsion for utilizing the BOG to run the carrier. BOG is spent for boiler fuel, and the steam from the boiler is used to rotate the turbine. The power of the turbine is conveyed to the propeller. IAS integrates boiler control, gas management, compressor control, power management, etc., using a sophisticated control philosophy. DFDE stands for dual fuel diesel electric propulsion. The propulsion system consists of several generator engines and electrical propulsion motors. Normally, generator engines burn only oil as fuel; however, the DFDE generator engines can burn both oil and gas. The gas or oil is supplied to the generator engine and the propulsion motor is driven by electrical power generated by the generator engine. Then, the power of the propulsion motor is conveyed to the propeller. 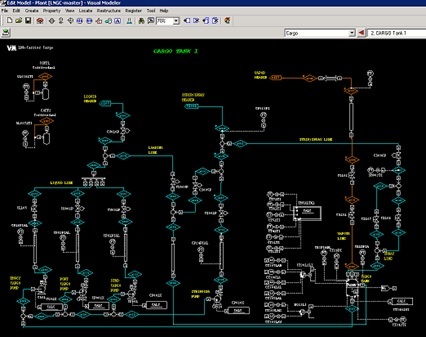 IAS integrates gas management, compressor control, power management, etc., using a sophisticated control philosophy. In a 2-stroke low-speed engine, the main shaft is directly connected to the engine and the shaft speed is low. Therefore, the propulsion system has higher power, higher efficiency and higher reliability. The 2-stroke low-speed engine can only burn oil as fuel; however, the dual fuel 2-stroke low-speed engine is able to use gas as fuel in addition to oil. IAS integrates fuel gas supply system and reliquefaction control, etc., using a sophisticated control philosophy.